Could be the the typical grey drippy morning we started with today that inspired this post. But all of a sudden these past few weeks, I have really been into the color pink! It doesn’t matter which shade really, (except for Barbie pink that is) blush, petal, fuschia, magenta or even neon. Since I typically favor orange, this is a new obsession for me. You should see my sketchbook. And of course, pink peonies are my favorite flowers. Each Wednesday we’ll answer the on-going question: “What do I wear with these?” It’s a question we get quite often here at the shop and we love giving suggestions when helping our customers. 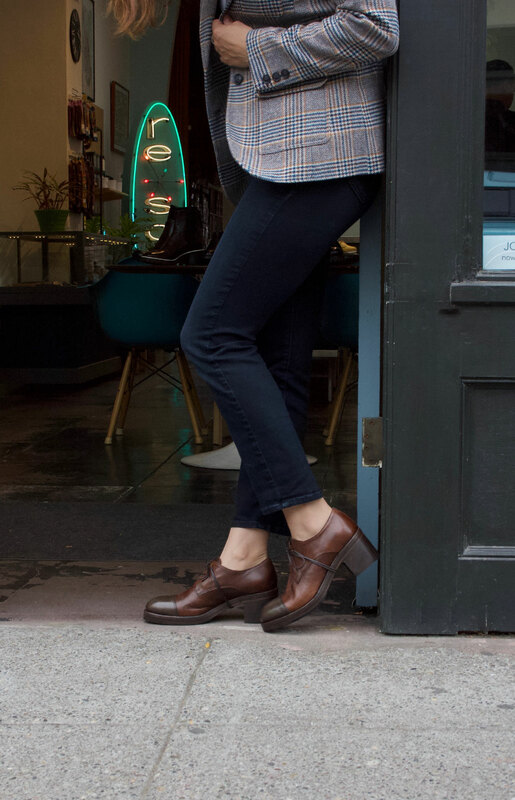 This week we feature the H by Hudson Mistral bootie. Only a couple more days until Valentine’s, so we thought we would style this casual H by Huson “Mistral” bootie with a more romantic feel. The rich suede color is perfect to wear with lighter pastel colors and of course denim! Pink is really hot right now for spring and this color flatters most complexions. Wear them with a pair of boyfriend jeans and a slouchy sweater or slim skinnies and a pretty blush colored blazer. Accessorize with a boho beaded cuff or a feminine scarf and you’ll be all set for your date! > H by Hudson “Mistral” boot in beige suede, made in Portugal. > Jo Handbags “Zoey” in stone suede. > Julie Rofman beaded “Tahiti” cuff. > Hansel from Basel floral crew socks.